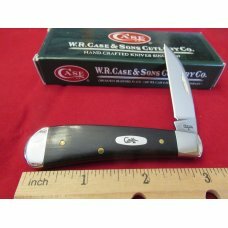 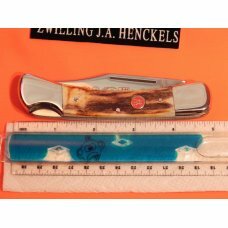 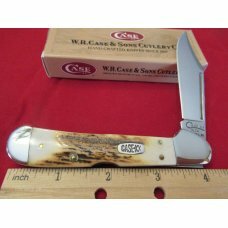 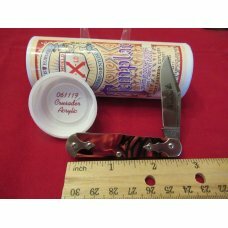 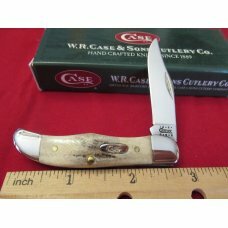 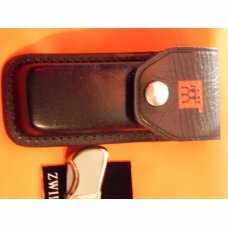 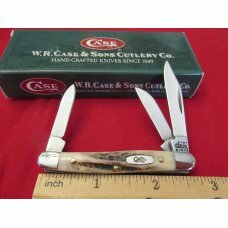 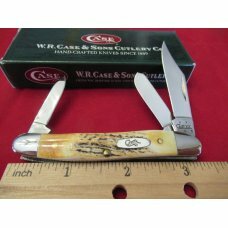 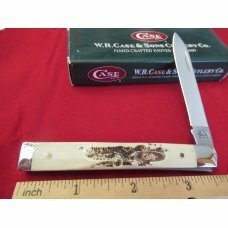 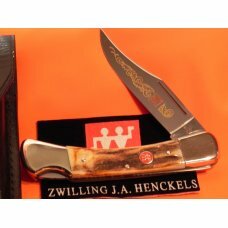 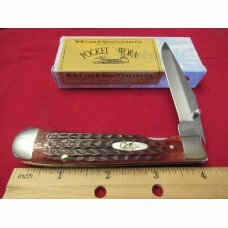 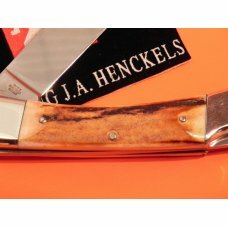 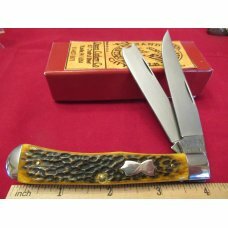 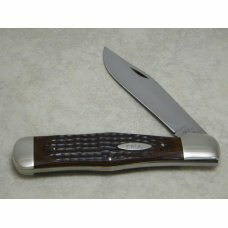 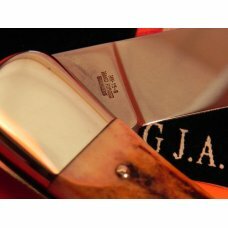 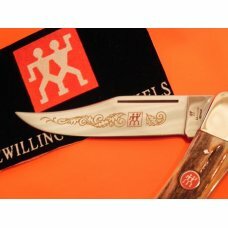 J A Henckels Large 5" Folding Hunter (HK15-S) with Great Stag Handles & Gold Scroll Blade Etch +Sheath. 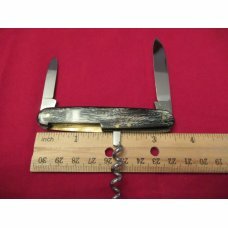 Great open and close snap and no blade movement/wobble. 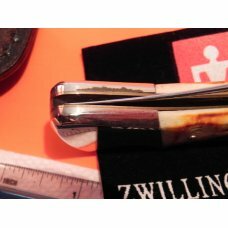 NOS with some light markings from being taken in and out of sheath as well as a couple patina spots. 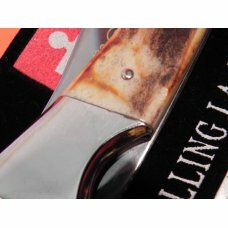 See last 2 pics for the patina spots. 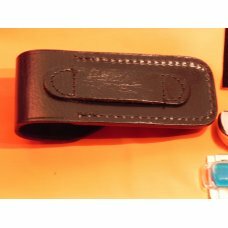 I pack to prevent damage during shipping.